A dashmountTM bracket will enable you to fit your car phone cradle baseplate without having to make screw holes in the dashboard fascia of your vehicle. All DashmountTM mounting brackets are TUV safety approved, beware of cheaper imitations. We will send you one specific to your car make and model. A covert, flexible, T-bar aerial antenna. 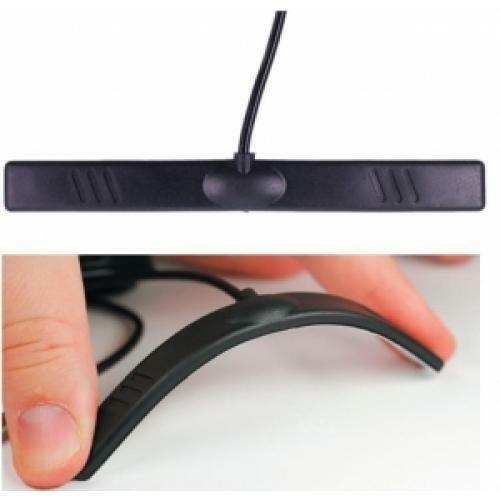 This self adhesive antenna simply attaches to your car windscreen, normally behind the vehicles rear view mirror. Comes with FME female connector for connecting to the car kit. This radio mute lead (SOT lead) will interface with your radio to cut the music out and route the telephone conversation through the cars own speakers. This is a car specific part. Amplified radio will incur an additional charge. Please contact us if you are unsure. If you select Accessory Pack + Fitting we will also professionally install the BURY kit at your home or workplace anywhere in the UK. Includes above fitting accessory pack; mounting bracket, aerial and a radio mute lead*. *Some amplified stereo systems such as BOSE, Harmon Kardon, JBL may require an advance radio mute lead and therefore will incur an additional charge. If you are going to order the fitting accessory pack or installation then please contact us to confirm your stereo compatibility before purchasing the add-on options. Enjoy the peace of mind that comes with a professional, risk-free installation service, by placing your trust in a certified installer. Car Communications are a certified FITAS installer. 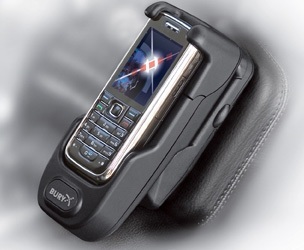 The UNI CarTalk combines perfect voice quality with flexible applications for both the private and business use of mobile communicating technology in the car. 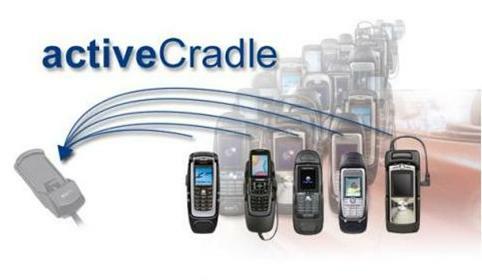 You can dock your mobile phone specific UNI System 8 cradle - together with your mobile phone - giving instant charging, improved reception and handsfree capability. The THB Bury CarTalk car kit features an instantly swappable cradle which allows users to update their phone without replacing the whole car kit! Simply choose the cradle you need for today clip it into the car kit then your ready to go. 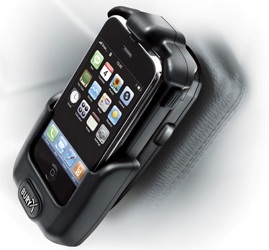 The Base-Plate and System 8 active cradle are the two main parts of the system 8 CarTalk hands-free system. This package consists of a System 8 active cradle and the Base-Plate. Optional fitting accessories required for this kit include an aerial, a vehicle specific mounting bracket for fastening the Base-Plate to the car dashboard and a radio mute lead. If you select the optional installation service then we will include the accessory pack - consisting of a vehicle specific mounting bracket, aerial and a radio mute lead. This car kit is designed to integrate with the car radio speakers. During a telephone call the stereo will mute any audio (music, radio, CD etc) and route the conversation through the front speakers of the car. Requires optional accessory pack. Simply clip the Bury System 8 active cradle into the snap-in Base unit and then insert the phone in the active cradle. Turn on the ignition and the mobile phone will start charging instantly; now use the mobile phone as you would normally to make or receive hands-free calls. Please note: Installation is an optional extra, please select from the add-on options above if you require this service. If you select the optional installation then we will include a fitting accessory pack which consists of a mounting bracket, aerial and a *radio mute lead. 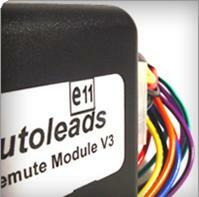 If your vehicle has an amplified radio then you will require a special premium lead. Usually this will incur an additional charge. We will inform you if you require it before dispatching the car kit and offer you the option to purchase it. If you are unsure about the suitability of this car kit with your car or mobile phone please submit an enquiry form by clicking ask us about this item found at the top of this page. This car kit will require fitting accessories to complete the installation. If you plan to carry out a DIY installation or you are going to source a local fitting company then we recommend you purchase the optional fitting accessory pack (mounting bracket, aerial and a radio mute lead). Otherwise we recommend you purchase the fitting accessory pack with our installation service. For further details on the installation service please refer to the installation section. * Please select from the add-on section to purchase. 1. Requires Bluetooth enabled on mobile phone for hands-free to work. Audio is transmitted from phone to the kit via Bluetooth. If you select the optional installation then this product will be professionally installed at your home or workplace anywhere in the UK by our own network of accredited engineers. We will supply a fitting accessory pack that includes; a mounting bracket, aerial and a radio mute lead*. Bury products are all designed so that there is no need to cut any cables.